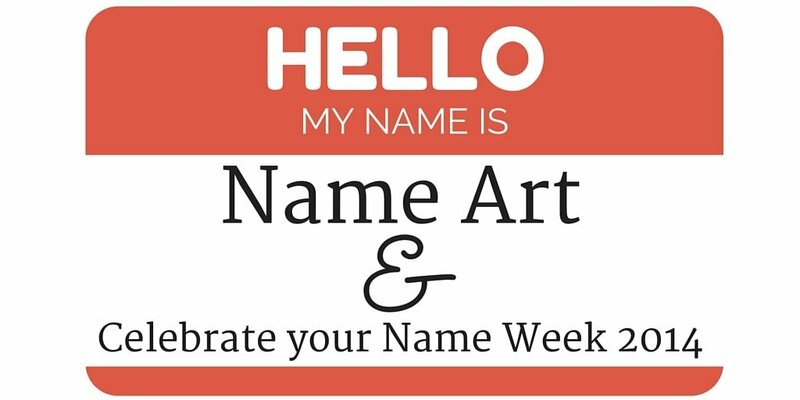 Name Art & Celebrate Your Name Week 2014! 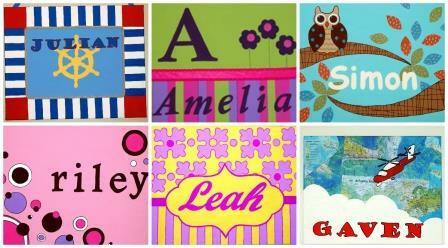 As someone who creates Name Art and wall murals (some personalized with kids names) I totally love hearing how parents pick their baby names. I will also admit to Googling my own name to see who else shares my name (am I the only one?). And I just love painting surnames for newly married couples in my Love Art. As I was scouring the internet looking for baby name meanings, I realized there is a Celebrate Your Name Week! Fun! Namesake Day – Why did your parents choose your name? Was there a special meaning? Were you named after someone special? Fun Facts About Names Day – Did you know Barbie and Ken both have full names (Barbie even has a middle name)? This day is all about fun name facts. Discover What Your Name Means Day – My name, Adrienne, means “of the Adriatic sea.” Do you know what your name means? Nametag Day – A silly one today. Why don’t you wear a nametag to work today and see what your colleagues say? Descendants Day – The last day is a bit more serious. You can climb into your family tree and really learn where you came from. One more unashamed plug for me…I also paint whimsical family trees. Message me for photos. This all got started by a guy named Jerry Hill whose hobby is to study names and their origins (I love hearing about unique hobbies!). When Jerry was a kid, he heard of another Jerry Hill that was killed in his city. He totally freaked seeing his name and started researching who the other Jerry Hill was. In 1997, Jerry created Celebrate Your Name Week which is now listed in Chase’s Calendar of Annual Events. I will be celebrating #CYNW on my facebook page with lots of fun trivia and intriguing questions starting on March 2, 2014. Come check out the e-festivities and have some fun! Oh, and here are some of the names I got to paint recently!